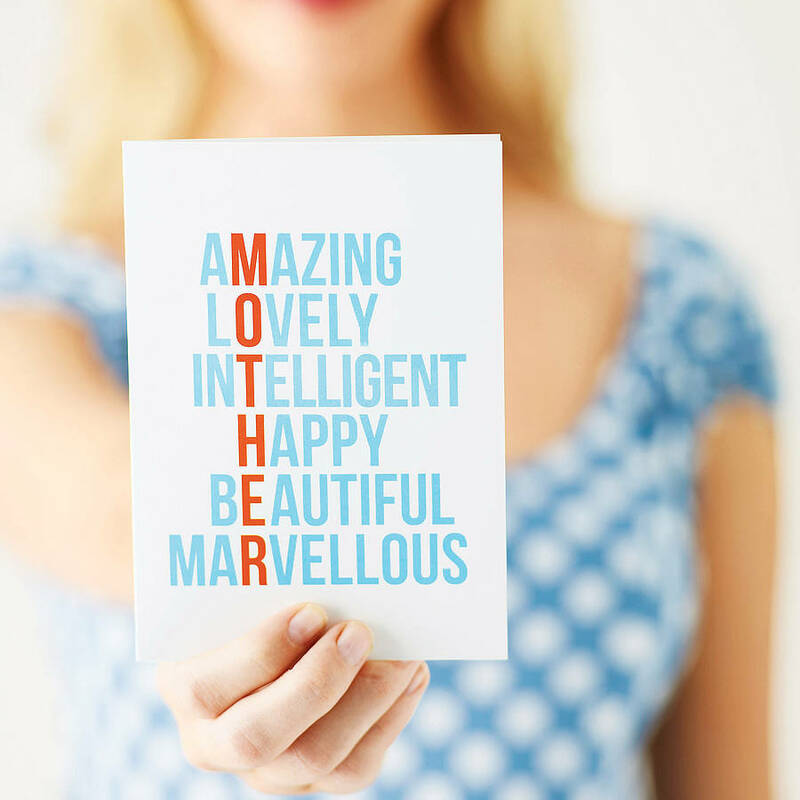 Let your mum know just how amazing she is with this typographical birthday card. 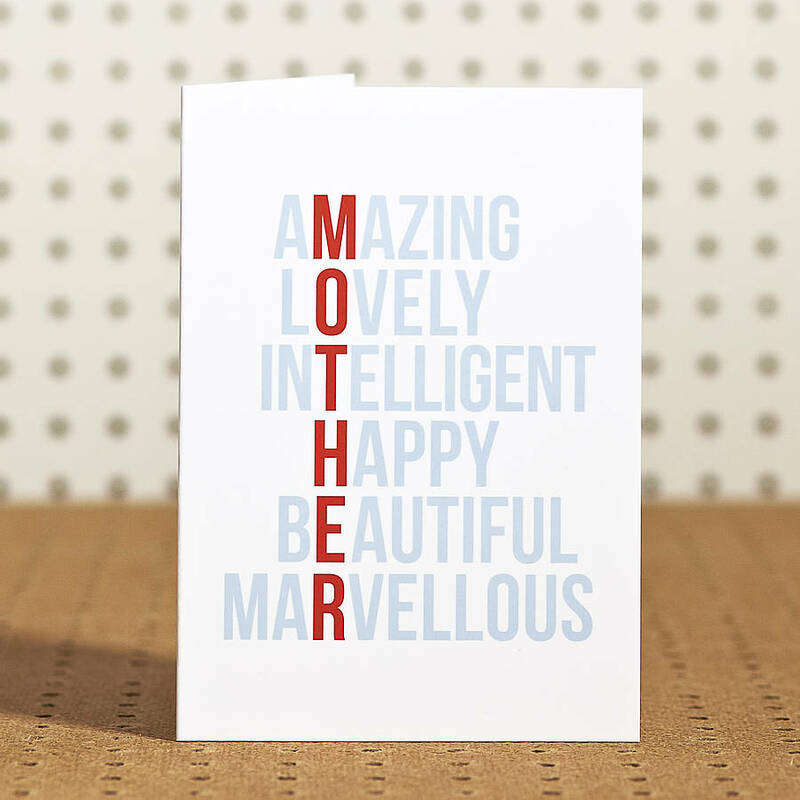 This acrostic style card is perfect for birthdays, Mother's Day, to say thank you or just to say hello. The card is blank inside for your own message and comes with a blue or white envelope. Please select your preffered envelope colour from the drop down menu on the right. NEW Personalised Amazing Mum Print now available..
Posted in rigid mailer and cello wrapped to ensure it arrives safely. Enjoy and spread some doodlelove!